Google's vice president of engineering, Linus Upson, has told TechRadar that full offline Google Docs functionality will be available in the coming weeks. In a briefing to a handful of UK journalists, including TechRadar, Upson talked about the burgeoning offline capabilities of Chrome OS, and also a massive and critical new arrival in editable offline Google Docs. 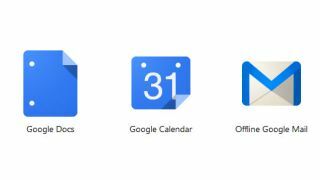 "In the coming weeks we're going to be launching Google Docs offline," confirmed Upson to TechRadar. "You've been able to view Google Docs offline or a while but now you'll be able to do full editing of docs while you are offline and when you comeback online it will sync up and resolve all the conflicts. "Now you'll be able to do full editing of docs while you are offline and when you comeback online it will sync up and resolve all the conflicts." "While you're online you have all the great collaboration tools of Google Docs." Upson believes that offline Gmail - now a longstanding part of Chrome OS was a key addition to the functionality of the device. "So offline is very important and another area we have been working on," he added. "We have offline Gmail and mail's one of the biggest things in common use case where people want to work offline."